Still trying to escape the cold? Drive on up to sunny Bundaberg, the gateway to the Southern Great Barrier Reef, just 4 hours North of Brisbane. August is the perfect time to come see the curious Whales so pack up the motorhome and hit the road! 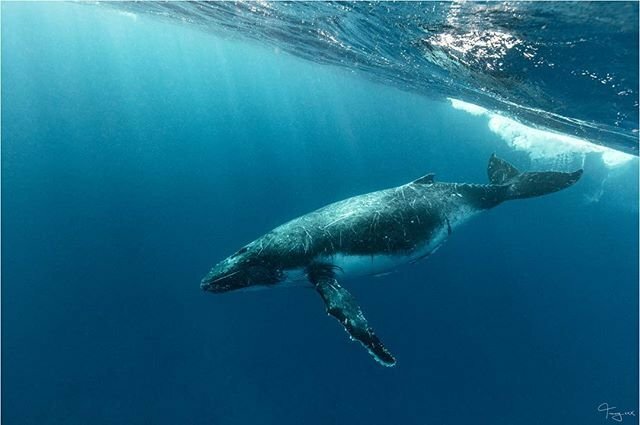 Get up close and personal with these peaceful giants on an intimate whale watching experience out on the Southern Great Barrier Reef. Marvel at these curious creatures as they put on a show just metres from the boat. Try: Take a half-day whale watching tour with Lady Musgrave Experience and enjoy a spectacular viewing of the Humpback Whales. This experience includes morning tea and a light lunch. Set up camp oceanfront or along the peaceful Burnett River. Whether you're staying the weekend or the month you can soak in the relaxed atmosphere at the beach or get some tips from the friendly locals on things to do. Try: Relish in oceanfront views at Absolute Oceanfront Tourist Park in Bargara and stroll along the coastal paths to local cafes and eateries. Whether you're looking to discover the local history or uncover the stories behind our passionate farmers we have a tour for you! Come uncover the region and get the locals insider knowledge. Try: Discover the story of aviation extraordinaire Bert Hinkler at Hinkler Hall Of Aviation. Explore the rich sugar history of the Bundaberg region in the Fairymead House Sugar Museum. Take a Bundy Food Tour of the rich agricultural industry in Bundaberg and hear the stories from the farmers themselves while you get a behind the scenes look-into farm life. Bundaberg is known for its abundant agricultural industry so the food here is fresh, vibrant, and, above all, delicious. Treat yourself to breakfast, lunch and dinner while you're in town or pick up your fresh produce from the local markets and roadside farmgate stalls and cook up a feast. Try: Enjoy a seafood feast caught by local fisherman at Grunske's By the River Seafood Market and Restaurant.